Hi, I’m Victoria Bampton, but I’m better known as the Lightroom Queen. 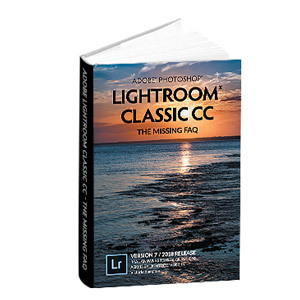 I help amateur and professional photographers understand Lightroom, so they can focus on enjoying photography. I grew up in the world of photography, I’ve used Lightroom since before it was released and I still work closely with Adobe today, so I’ve learned how to get the best out of Lightroom and I want to help you do the same. You get back from a shoot and you confidently load the photos into Lightroom. You know exactly where they’re stored, and your backups are up to date, so you can relax in the knowledge that your catalog and photos are safe. You quickly and efficiently sort through the photos, picking out your favorites, and adding metadata to help find your best photos again later. You smile. Because you’ve been able to spend more time shooting, rather than fussing with Lightroom, your photos are improving by the day. You open your favorite photos in the Develop module and you know exactly which sliders to adjust to make the photos look the way you envisaged. You smile again. This is the fun part. Without hesitation, you share your finished photos with the world, ready to receive both the compliments and the constructive criticism that help you continue to grow as a photographer. I’m here to help you feel confident in Lightroom. Together, we’ll learn to feel comfortable with the catalog and file management. We’ll learn how to avoid problems, saving you some stress, and we’ll learn how to fix problems when they do occur. And if you really want to dive in deep, I have plenty of tips, tricks and insider info for optimizing your Lightroom use. I already have the real-world experience, so you don’t have to learn the hard way. But can you trust the information I share? Yes. Unlike most of the Lightroom bloggers and YouTubers, this is my day job. I spend my time working with the engineering team and doing all the research necessary to ensure the information I share is as accurate as possible, so you don’t have to worry. 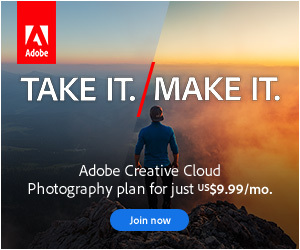 Here’s what to do next: Sign-up for a free account, so I can start sending you some of the most reliable Lightroom information available today.